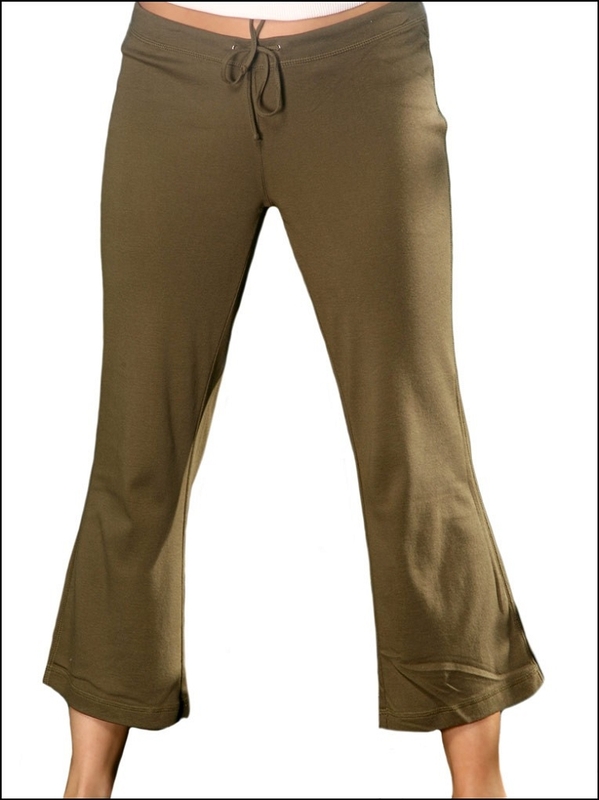 Get a leg up on style with our Yoga Capri Pant. It's lightweight and flexible enough to conform to your every move. It's hassle free and lets you concentrate on your inner enlightenment. Drawstring waist, Reverse cover stitches. 1 X 1 baby rib, 100% cotton ring spun combed, Heather colors are cotton-poly. 5.3 oz/sq yard.